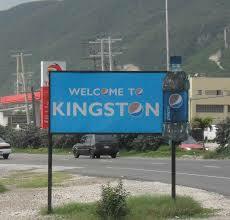 From Montego Bay Airport or Private Residence / Rose Hall Hotels, to New Kingston Hotels or wherever in New Kingston! One Way Private Transfer: cost for 1 to 3 persons US$200.... Each extra persons US$20/each. Round Trip Private Transfer: cost for 1 to 3 persons US$400... Each extra persons US$40/each. This is a private Taxi, just for you and your party you can always stop along the way (only if you need to) this ride travels through the Toll Road makes your journey much quicker! When you book this Taxi we will send you a confirmation email with how to find us at the Airport etc. If you need to go elsewhere outside of kingston please send us an email.